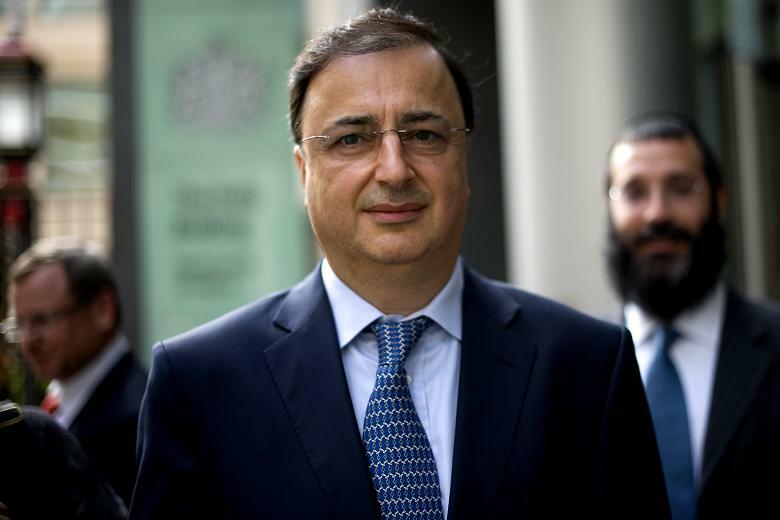 Israel law enforcement agencies believe Israeli diamond billionaire and philanthropist Lev Leviev is the prime suspect in one of the biggest diamond smuggling probes in Israel. The son and brother of Lev Leviev along with four senior executives of Lev’s company, Leviev Diamond Company (LLD), are arrested in connection with the smuggling ring that has operated for years. According to the police spokesman, the smuggling investigation began at the end of March 2018 when an employee of LLD, who later turned state witness and helped to crack this case, was arrested for smuggling diamonds into Israel. They have smuggled approximately $81 million worth of diamonds into Israel. During the interrogation and raid on arrested suspects’ home, police found hundreds of diamond-related shipping certificates confirming they had uncovered a vast diamond-smuggling business that has a direct link with Lev Leviev and his businesses. All the arrested suspects were questioned under caution on suspicion of diamond smuggling, money laundering, tax offences, conspiracy to commit a crime, forging documents and fraud. Israeli law enforcement officials want to question Lev Leviev (presently in Russia) regarding his involvement in the smuggling ring. A source close to the case said Billionaire denies the accusations and suspicions against him. Mr. Leviev has refused to return to Israel to evade arrest. Police and Tax Authority officials believe Leviev played a vital role in smuggling, however, several suspects plead not-guilty including Lev’s brother Moshe. Advocate Amit Hadad claimed that Lev Leviev and Moshe have been fighting for years, have not been in contact during that time and on the verge of killing each other. The Israeli Diamond Industry is one of the most prominent and largest diamond centers worldwide. Diamonds are considered as the most precious and valuable stone of all. They are a liquid and transferable asset, along with that they have the ability to go undetected and untraceable once they enter the black market. These features make diamonds appealing to criminals or terrorist organizations dealing in diamonds as currency. Israel Police isn’t clear why LLD Diamonds is involved in smuggling diamonds in the first place- evading taxes? It is a phenomenon that to avoid the payment of taxes or hide illegal actions, the wealthy often prefer to use a protected way of committing an illegal crime such as the involvement of innocent individuals, in this case maybe employees. However, this smuggling operation had already made a massive impact on Israel’s economy and struggling diamond market. Swift and positive results are demanded by the Israel government. It is essential for Israel law enforcement agencies to gain accurate intelligence and leads to prove Lev Leviev’ s involvement in the smuggling. As this high-profile case was cracked with the help of one of the suspects who turned state witness, therefore verifying his lead and intention is a top priority for law enforcement agencies. Financial crimes need substantial evidence that must directly link to the accused person and are always difficult to get as they might not be in physical form, therefore, existing conventional investigative tools cannot be very fruitful in this case, but it would be extremely helpful for law enforcement agencies if they could tap inside the suspect’s brain and identify the perpetrators from the innocents before they charge people with serious crimes. As Israeli law enforcement officials demand to question Lev Leviev regarding his involvement in the diamond smuggling ring, it is essential for law enforcement to have substantial intelligence and evidence to justify his involvement/guilt. The questions that still put police personnel in dilemma are whether he is personally linked with the diamond smuggling, motive behind the smuggling, attempted tax evasion, co-conspirators and other vital information that are necessary to prosecute one of the most powerful businessmen in Israel. As traditional methods of investigation cannot be effective in such cases, the applicability of an advanced forensic technology is demanded by the law enforcement agencies. Thankfully, such a technology exists that can tap into the suspect’s brain and provide vital information necessary to solve this case and is extremely accurate, highly applicable, easy to use and master, offered only by Brainwave Science, and it’s called iCognative. iCognative is an advanced, modern forensic technology that is safe, virtually unbeatable, impeccably accurate, respects human right and above all reveals all critical information a suspect is trying to conceal with over 99% accuracy without any necessity of hard evidence. Within an hour, iCognative technology can provide valuable intelligence and missing links by tapping into the source of all human actions and planning- the brain, necessary for Israel law enforcement agencies to investigate this case in the right direction and identify the connection/involvement of Lev Leviev and his company. A 45- minutes iCognative test when utilized by Israel Police and Tax Authority personnel on the arrested six suspects would rapidly deliver vital and accurate intelligence to find missing links and connections related to the diamond smuggling racket and involvement of LLD. The assigned investigator uploads all case-related information including confidential crime-related information known only to the perpetrator into the unbeatable iCognative system protocol to conduct a test. Investigation details discovered during the investigation such as: methods used to smuggle diamonds, identification of arrested suspects, quantity of diamond carried in suitcases, identification of the handler in Israel, who provided the diamond and whom they were to be delivered, any information about the involvement of Lev Leviev, any direct contact with him or his son, financial details of LLD and Lev Leviev, etc., can be utilized as Stimuli to conduct the test on arrested six suspects and other senior employees of LLD company. The iCognative systems record and analyzes the brain responses of each suspect and determines with over 99% accuracy if the information under question is present or absent in the brain of the suspect and further provides impeccably accurate intelligence for law enforcement agencies to investigate in the right direction and identify the connection of Lev Leviev, LLD company, any known or unknown employee, arrested suspects to this smuggling without any further delay. iCognative is so reliable and efficient it would provide the same results every time the test is conducted on the suspect, giving a 100% confidence and assurance to law enforcement agencies in their investigation. Irrespective of how powerful or smart the suspect is, and it seems impossible to connect the dots to him/her, iCognative is the best forensic technology for law enforcement to find all the necessary evidence and connections to prosecute him/her without losing much sweat, before they or any other try to cause any more harm to the economy of the nation.